Having dispatched heavyweights HOCKEY MASSACRE and RUNAWAY UTILITY CART, Will Hagerup faces the ultimate challenge in SBNation's GIF tournament tomorrow when his MORTIFIED MICHIGAN PUNTER faces ROLLERBLADING RAPTORS MASCOT. Tomorrow's epic final matchup marks the first time that the Toronto Raptors have been as scary as their Jurassic Park counterparts since the day when Vince Carter picked up his diploma from UNC. In both of his last two matchups, MMP has been either close or trailing until an MGoBlog link propelled him to victory, just as the football is propelled into the air off his helmet. Which leads to the question: why does the Michigan fanbase love this GIF so much? Doesn't it seem like most fanbases would be embarrassed by one of their players looking so silly? Maybe we're more objective about our team, but that's probably not the case. Objectively, HOCKEY MASSACRE and RUNAWAY UTILITY CART were both equally worthy candidates for best GIF, and we dispatched with them in haste. We're proud of MMP, maybe ironically, but we're proud. Maybe it's because it's relatable. We've all had a most embarrassing moment. Sure, few of us have had it happen in front of 110,000 people and on national television, but we've all had one moment in our lives where we've realized we've screwed up something really, really important and had that feeling of dismay so perfectly encapsulated by Will Hagerup's open-mouthed surprise and terror. Maybe it's because we have perspective. The last few years haven't been the easiest for Michigan football fans, and we've learned that it isn't always serious business. Sometimes the things we think are the most important and deadly serious in the world are funny and you should always be ready to laugh. I don't think any of those things are true. I think the reason we love this GIF so much is because we Beat ohio, and thus everything associated with the game is retroactively awesome. Every time we see this image, we get reminded: Michigan beat ohio. I'll vote for that every time. I cannot necessarily claim credit for creating the term Hockey Christmas. I sincerely believe it may have been Geoff's creation. I will, however, state that my affinity for that term as shorthand for NCAA Hockey Regionals has led me, time and again, to use the term. In retrospect, it is a term better served to describe the anticipation of the weekend than the actual weekend itself. Except, perhaps not. Christmas, after all, is often eagerly anticipated, especially in one's younger days. But as you get older, it becomes more difficult, more people want a piece of your time. You're dealing with disappointment, resentment, old lingering wounds in the family that never quite heal, but need to be spoken to (or not). People love the holiday season; it's the details that get them, every year. Some years are better than others, but many times you just end up being happy the whole thing is over. So maybe it is less "Hockey Christmas" and more "Hockey Near Death Experience" as suggested by Brian Cook. Having lived the experience, we know all too well that the Plinko board of single-elimination playoff hockey is simultaneously thrilling and miserable. But I cannot help but think the universe is trying to send Michigan Hockey a message. 2010: Fort Wayne. Loss, 3-2 Double Overtime after a disallowed Michigan goal. 2011: Saint Paul. Loss, 3-2 Overtime after a disallowed Michigan goal. 2012: Green Bay. Loss, 3-2 Overtime after a disallowed Michigan goal. This is not to say that the disallowed goal was the reason Michigan lost. I think the special teams nightmare in the second period is a pretty concrete reason to point to as to why Michigan lost. But I cannot help but think that the game turned on its heels after the disallowed goal (I can't be sure, like much of SE Michigan, we couldn't see the first fifteen game time minutes of the contest due to an ESPNU switching issue. Shocking. (I know, I shouldn't complain, we should be happy we can see the games at all, but seriously...) So I had to rely on my ESPN3 stream, which took some time to get going.) Cornell buckled down because they had seen their near death and made some life changes. Michigan didn't play like a team that was upset that they had had a goal disallowed, but they also didn't seem sharp. When Kevin Lynch scored late in the third to tie it up, it was like there was some cosmic justice, that the narrative was demanding "Puck don't lie." But as we learn in sports, narratives are not things to be followed, but meaning to be extracted later. So when the juicy rebound off Hunwick found its way on to Rodger Craig's stick and then, second later, into the back of the Michigan net, the narrative was not about how Michigan overcame disappointment and a scare, but how Shawn Hunwick's last act in a Michigan uniform was to retrieve the puck from the back of the net and give it to the Cornell coaching staff. That is how this story ends, that is how the stories of the last three seasons have ended; with Hunwick digging a third goal out of the back of his net in overtime in an arena somewhere in the Big Ten footprint, but a million miles away from what college hockey should feel like. Maybe we're stupid. Maybe we're just a bunch of Charlie Browns, convinced that the NCAA Tournament's Lucy will not pull the football away this time, because this time it will be different. Tampa will see two #1 seeds and two #2 seeds, all regular season champions of the four major NCAA hockey conferences, perhaps a nice way of reminding us what is going to be lost when the Great Schism occurs at the end of next season. All teams dressed in red or a shade thereof, celebrating because their Christmas party hasn't ended yet. We're left to lament, left to lament this players whom we shall miss, left to lament that the common bond we share with so many strangers goes into hibernation for seven months, left to lament that the pride one holds in history is not the same as the joy of a successful present. But we shall return to this place because it holds something for us. It holds a belief in what can be if everything breaks correctly. It holds the promise of being in on a secret that not enough know about, but those who do know share the bond with you. When we come back to Yost next fall, it will not be the Yost we have known, but a new Yost designed to remind us of the old one, blending the future with the past. We shall stare down our last CCHA season, wonder who will step in to the void and will there be enough to make sure its 23 in a row, but hopefully one with a happier ending. It was a simple notion. Peyton Manning, having recently signed with the Denver Broncos, likened the "wanting" to go to all of the teams that were courting him to his high school days when he pointed out that he "wanted to go to Ole Miss,[I] wanted to go to Florida, [I] wanted to go to Michigan. *]"
*-Let's be clear, Manning is as PR savvy an athlete as they come. Throwing Michigan in here while being interviewed by Rich Eisen, getting a verbal "AH-HA!" out of Eisen and a bit of fun interplay between the two during this rather standard interview is nothing lost, potential for gain as you can't rewrite history. Inspired by Bill Simmons entire chapter of "What If" in The Book of Basketball, I compelled myself to consider several questions related to "What if Peyton Manning had played for Michigan instead of Tennessee?" As a historian, I am now morally required to mention that counterfactual history is fiction and that speculative fiction is a notoriously hard genre to write well. Instead of reaching conclusions, I shall raise questions. Todd Collins was Michigan's senior quarterback in 1994 and was Team MVP (and eventual second round draft pick by Buffalo), so I don't know if Manning would have had enough to supplant him as a freshman. Manning, in fact, as highly touted and as big a brand name as he was, only started at UT as a freshman because of injuries to the two quarterbacks ahead of him (one of which was future MLB player Todd Helton.) 1994 was also the year of the freaking Miracle at Michigan and the freaking Kerry Collins/Ki-Jana Carter nightmare against Penn State (oh yes, the era before "We own…Penn State.") I don't know that Manning would have saw much action this year. One of the questions becomes then becomes redshirting, which I do not think would have happened, but again a question is raised. I also need to raise one point here. If we accept Manning at face value on wanting to come to Michigan, part of that may lie in Cam Cameron as quarterbacks coach. Cameron left Michigan in 1994 to become the Redskins quarterback coach, so we don't know if Cameron was part of the draw for Manning. One of the major questions would need to answer with our monkeying with the timelines is the Moeller situation. The Moeller situation is worthy of its own what if, but let us presume that it still happened and Michigan still hires Coach Carr. One of the major turning points here would need to examine is the presence of Manning on the quarterback depth chart in 1995 fall practice. Would he have beat out Scott Dreisbach for starting duties (we presume he would have beaten out Brian Griese as Dreisbach did, It would also meant that Michigan would have had two scions of former NFL starting quarterbacks on their roster, which is kind of neat to think about. It would have been like Beilein's penchant for picking up the sons of NBA stars 15 years later.) Here's where it gets really interesting. Manning's Vols only lost ONE game in 1995 to, you guessed it, Florida, beating Alabama and beating Ohio State in the Citrus Bowl. The question would then become this: Sticking Manning on an 8-4 Michigan team, with Tshimanga Biakabutuka in the backfield, with Amani Toomer and Mercury Hayes (and Tyrone Butterfield) at receiver, with Jay Riemersma at tight end, could a sophomore Manning have done enough to win any of all of those three regular season games, the maddening 19-13 loss to Northwestern during their miracle season, the 28-25 loss to Nick Saban's Spartans in East Lansing, or the 27-17 loss to Penn State late in the season at Beaver Stadium. My gut tells me they win the Penn State game, but they still drop the Michigan State game. As for the Northwestern game, I don't know, at that point, I'm going up against something that feels like destiny. Then again, maybe it wouldn't have mattered if Michigan's offense had a tell during that game. It's also worth remembering that any speculation on this season in the pro-Manning direction costs you two of the greatest moments in Michigan Stadium history, Mercury Hayes catch to beat Virginia and Biakabutuka's 313 yard game against Ohio State. Then again, part of me desperately wants to know what Peyton Manning would have done in the legendary 5-0 snow game against Purdue. Peyton Manning lost a game to Memphis his junior year. 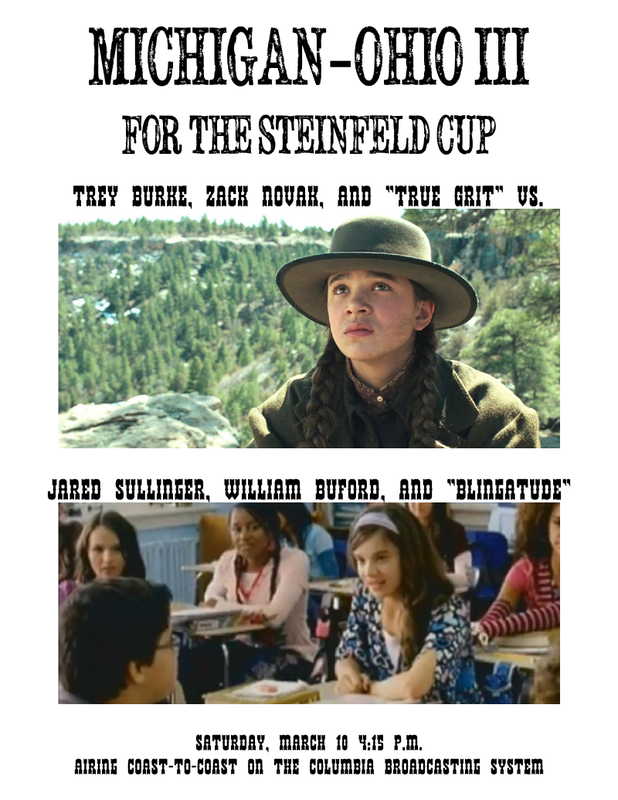 I need to point this out. I once firmly believed that Peyton Manning only ever lost games in college to Steve Spurrier's Florida teams, hence one of the greatest disses in all of college football history ("You can't spell Citrus without UT.") But no, he lost to Memphis at Memphis 24-17. So it's worth remembering that our memories are faulty. I love Michigan's 1996 season because, well, it was my Freshman year and getting to go to every home game, do you have any idea how awesome that was? They just give you tickets. OK, yes, you have to pay for them, but I mean, come on, I get to go to every Michigan football home game?! But there were some really bad hiccups. Another loss to Northwestern (ugh! ), the 9-3 slog at Ross-Ade, and a third straight loss to Penn State (man, I am really reopening some old wounds for myself here.) Dreisbach was Michigan's starter for the entire regular season (though he was injured in the Ohio State game, leading to some further Brian Griese heroics to beat the Buckeyes 13-9. Good times. Good times.) So we know that Manning would have likely been the starter as well. Would Peyton Manning have been worth two more wins? Would he have not inexplicably lost to Michigan State (to build on the Florida corollary from his UT days?) Would we still have lost that Purdue game in the muck and the mire as a fluke loss? Hard to say. And here's where the entire thing hinges. Manning on Michigan cannot improve the result from 1997. In fact, it might have detracted from it. For starters, there's no way Charles Woodson wins the Heisman if Manning is the Michigan quarterback. But I also would posit that Manning does not win the Heisman either (no, he probably would. The narrative would be there.) My better question would become, does Michigan win the National Championship if Peyton Manning is Michigan's quarterback? (Actually, there's a flaw in that too. Manning finished his degree at Tennessee in three years. He came back in 1997 for any number of reasons, but if you can see a situation where the 1996 Michigan team wins the National Championship, then maybe he goes in the draft? (Then again, the New York Jets had the first pick in the 1996 Draft. That just raises further questions.) But would Manning as "unable to win the big game" Manning during his college career (fair or not) have dropped a game somewhere? Hard to say. In the end, the speculation is just that, speculation. There's no way of knowing. I'm happy with how things turned out, good, bad, happy, sad. Is your NCAA Tournament bracket busted? Are you looking for a shot a redemption? Don't want to end up a cartoon in a cartoon graveyard? Well, I present the 2012 NCAA Hockey Christmas Tournament Challenge. Is the wrong shade of blue (not Pantone 282). The winters of my childhood were long seasons, but getting shorter each year. We lived in three places - the school, Panchero's, and the skating-rink - but our real life was on the skating-rink. Tremendous battles were won on the skating-rink. Tremendous strength appeared on the skating-rink. The leaders and best showed themselves on the skating-rink. School was a sort of punishment. Politicians always want to punish children and evaluating teachers based on standardized tests is their most natural way of punishing us. However, school was also a quiet place where we could prepare for the next hockey game, lay out our next strategies. As for Panchero's, we found there the piquancy of Cholula: there we forgot the school tests and dreamed about the next hockey game. Through our daydreams it might happen that we would recite a prayer: we would ask Bo to help us play as well as Carl Hagelin. We all wore the same uniform as he once had, the maize and blue uniform of the Michigan Wolverines, the best college hockey team in the world; we all combed our hair and grew it long in the same style as Carl Hagelin, and to keep it in place we used Axe - a great deal of Axe. We laced our skates like Carl Hagelin, we taped our sticks like Carl Hagelin. We posted all his highlights on our Facebook timelines. Truly, we knew everything about him, as we all followed his Twitter feed. On the ice, when the referee blew his whistle the two teams would rush at the puck; we were five Carl Hagelins taking it away from five other Carl Hagelins, with two Shawn Hunwicks guarding the nets; we were twelve players, all of us wearing with the same blazing enthusiasm the uniform of the Michigan Wolverines. On our backs, we all wore the famous number 12, but for the two goalies, who wore the famous number 31. Picking an NCAA bracket using basketball knowledge is as much a recipe for success as picking based on the team's mascots or school colors. To have a truly scientific and rational decision-making process, we need to delve more deeply into the essence of the competing schools. What better way to reach that quintessence than by analyzing their seals? Thus, we present the Seal Block breakdown of the Midwest Regional. Will UNC live up to its top seed, or will a sleeper rise from the lower half of the field? 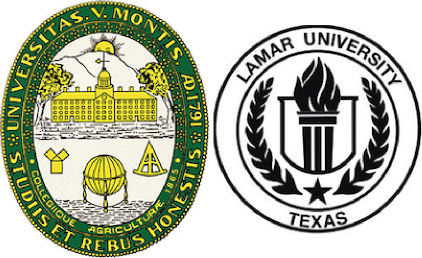 Lamar, like all schools in Texas, is sure to make us know they're located in Texas. However, their very basic design doesn't match up to Vermont's old-school details, including the Pythagorean theorem, which as Shaquille O'Neal reminded us, cannot be solved. 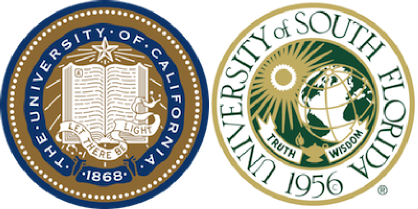 USF, as we discussed in the original Seal Block series, loses serious points for its horribly inaccurate globe. The only odd thing about California's seal is that section A starts halfway through the book, a small flaw in comparison. Cal brings home the victory. Ask and ye shall receive, Brian Cook. Is our protection money up-to-date now? On some baseball message boards I read, there are a few people who have suggested, semi-facetiously, that it's hard to see Alan Trammell making it into the Hall of Fame if Lou Whitaker isn't going to be there standing beside him at the podium. There are some players that just go together and it seems wrong to honor one without honoring the other. Tram & Sweet Lou. Isiah & Dumars. Martin & Van Bergen. And now, Novak & Douglass. The Binary Duo doesn't have the stats of Cazzie Russell, Rudy T., and the rest of the honored five, so there probably won't be a day when we see 0 and 1 hanging from the Crisler Center rafters. They are the players opposing teams love to hate because their contributions aren't measured by points, rebounds, and assists as much as they are measured by milliecksteins, the official Système Internationale unit of grittiness and stick-to-it-iveness. The standard honors aren't right for a pair of players so closely intertwined and defined by their intangibles. (While I will miss their senior intangibles, I'm also looking forward to the new incoming freshman class's tangibles.) There will probably be a day when they are inducted together into the Hall of Honor, but I propose a higher honor for the pair that brought Michigan basketball back to prominence. Just as the #1 jersey is reserved for a wide receiver who earns it, the #10 jersey (1 and 0) should be reserved for a player who shows extraordinary commitment and leadership within the basketball program. 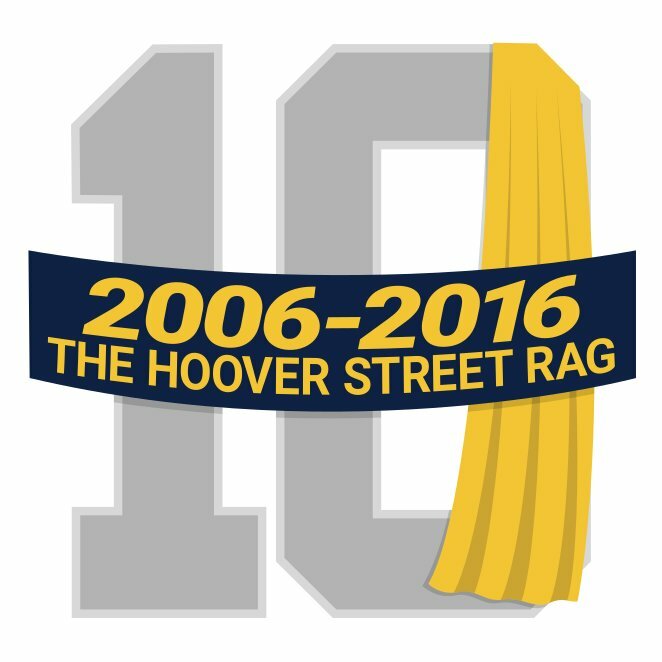 Let's start a new tradition so that future generations can remember the outsized contributions of #1 and #0, and let's forge a link to future Michigan Wolverine greats by having them earn #10 in honor of Zack and Stu. With all due respect to Mr. Rose, and I do mean all due respect, you can't rehang the banners at Crisler, no matter how much you may want to do so. The reason is simple: No matter what one may think of the NCAA investigation and sanctions, they are sanctions, Michigan made the list of things they wanted to do based on the best advice they could get from lawyers paid large amount of money to provide wise counsel on this matter and agreed that this would be one of the sanctions and it's because the banner represents a celebration. It represents an accomplishment, but that accomplishment is tainted within the rules and regulations of an organization of which Michigan is a member institution. 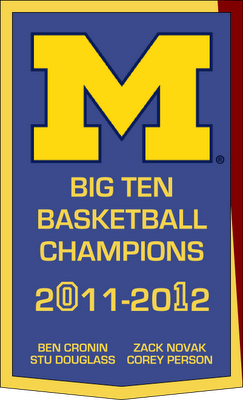 You can't rehang the banners in Crisler proper. 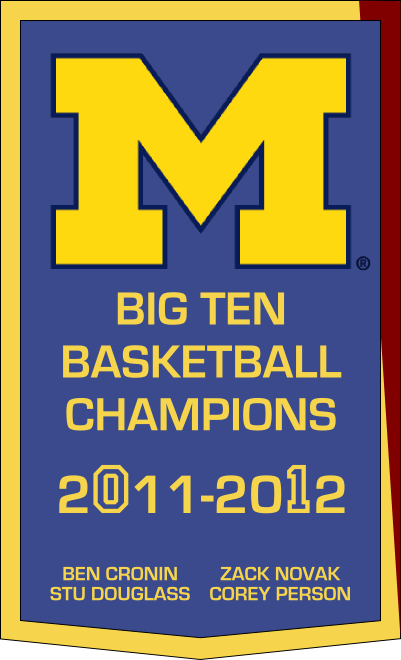 That said, the banners should be in Crisler. Allow me to explain. They serve no meaningful purpose being stored away in the stacks at the Bentley like some basketball Ark of the Covenant. 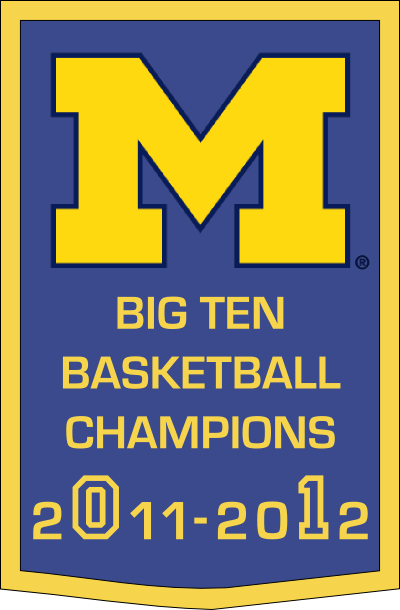 They should be displayed in the new Crisler Center somewhere, attention drawn to the awkward placement of them outside the arena along with an honest, detailed, and complete telling of what happened during the Fab Five era. It does not serve us to avert our eyes to the ugly parts of history any more than it does to celebrate a lamentable part of the past. The best choice one can make going forward is to split the difference, acknowledge that the past happened, that mistakes, errors, poor decisions, what have you, did occur, and that you learned from them. Let the past become an object lesson to future generations to say "We're never going to let this happen again because this is not who we want to be." Not the Fab Five, mind you, but the NCAA violations part of the Fab Five. Let's be honest about the past. Let's be honest about who we are. Let us tell all feasible sides of the story to tell and allow the individual to make the decision as to what they take away. We can't simply pretend that because the banners aren't there doesn't mean that the games didn't happen, but it doesn't mean we need to celebrate the circumstances under which they occurred. Besides, we have a new day, a new banner, a new era, and new honor to be won. Congratulations to Zack, Stu, and the team! Tremendous!